Here is another image taken on the same evening. 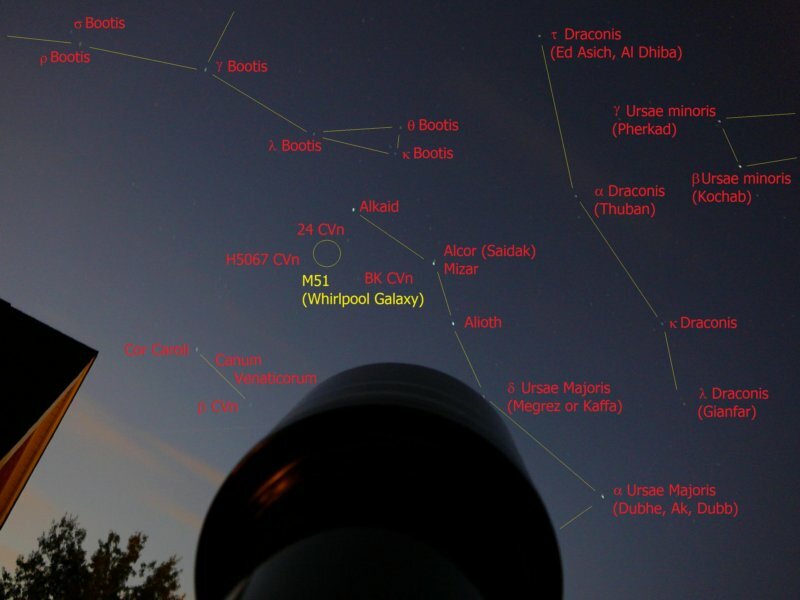 It contains parts of the big dipper, small dipper, dragon, bootis, and canum venaticorum. Unfortunately, M51, the Whirlpool Galaxy did not show up on this image. Panasonic TZ-1 in "starry sky" mode, 60s exposure time, f/2.8, ISO-80, focal length (5mm, equivalent to 35mm on 35mm camera). Taken on 09-16-2007.